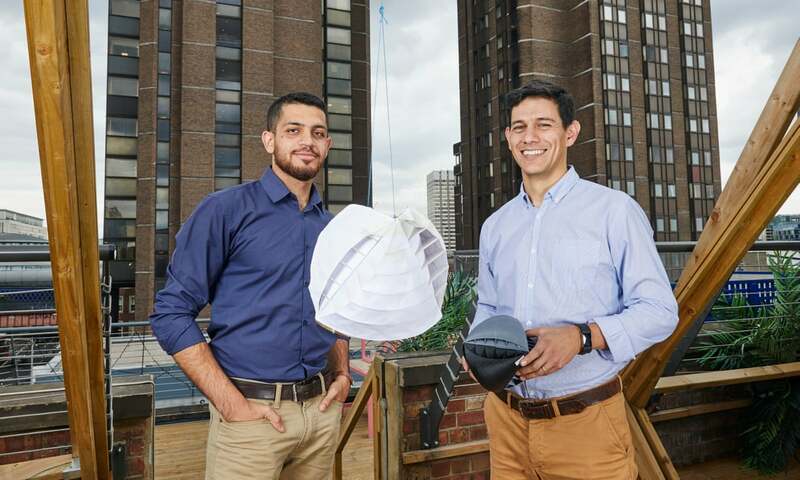 Postgraduate students of Lancaster University Nicolas Orellana, 36, and Yaseen Noorani, 24 have won the acclaimed international James Dyson award. The International Innovation MSc students have claimed the £30,000 prize for their innovative O-Wind turbine design after their success in the award’s UK equivalent earlier in the year. The O-Wind turbine allows for both horizontal and vertical winds to be captured, without the need for any steering. In other words, it can capture wind travelling in any direction and has the potential to transform how people living in urban areas generate electricity. Mr Orellana stated that he was inspired after studying NASA’s Mars tumbleweed rover, a type of inflatable ball which has been designed to autonomously bounce across the surface of Mars. Beating entrants from 27 other countries, including a device to help diagnose malaria and a chair which provides ease of access and mobility to disabled air travellers, the winners hope that the turbines can be installed onto the side of large buildings or on balconies in cities, where wind speeds are at their highest. Currently in discussion with investors, Orellana and Noorani hope to secure a deal that will enable the O-Wind Turbine to be mass-produced and go to market. The James Dyson Award was created to celebrate and challenge students and recent graduates across the globe to ‘design something that solves a problem.’ Ran by the James Dyson Foundation, the award has previously been given to designs such as the ‘Titan Arm’ a type of bionic arm in 2013 to students from the University of Pennsylvania and ‘MOM’, a portable inflatable incubator in 2014 to James Roberts of Loughborough University. Next articleIs There A Dark Side to Christmas Markets?